Flying to South America soon? Or perhaps you’re gearing up for an international flight from Ontario to California. 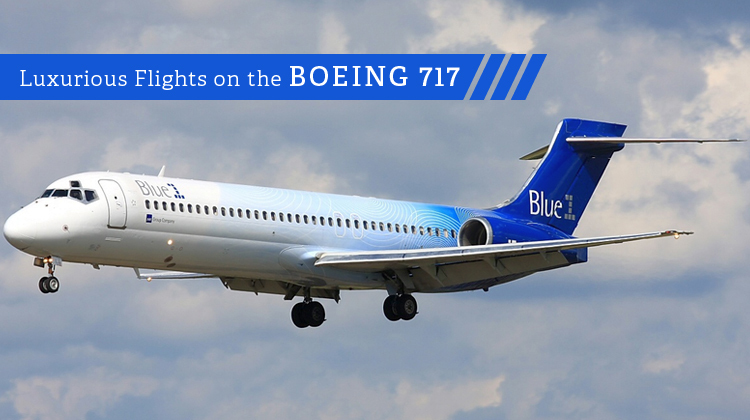 Either way, a luxurious ride on the Boeing 717 will make your trip even more worthwhile. There are private jets you can charter and each of their facilities differs from one another. For instance, some planes even have bedrooms in them. Divans, high quality seats and storage compartments are part of its standard features. Boeing 717’s galley is much wider to make sure you’ll have freshly prepared snacks and drinks. There are also VIP private planes which place the most intricate designs, such as lighting and paintings to make sure you’ll have the ultimately luxurious trip. It is always best to consider the details of your plane before finalizing a schedule with your service. This way, you can make the most of your trip’s hours. With its spacious luggage capacity, you’ll also be sure to bring all you’ll need on your upcoming conference or vacation across the region. As a brand of aircraft, Boeing’s large planes may be widely known for its spacious cabins. Particularly, the Boeing 717 has enough space to accommodate for over 117 passengers. Some airlines may even fly up to 134 customers in a single trip. This just gives you an idea of how many features can be added inside the spacious aircraft. Now you can feel free to hold meetings and have some rest while in flight. See how much productivity and enjoyment may be done on this plane. Did you know the Boeing 717 has one of the farthest ranges compared to other planes within the same category? Powered by Pratt & Whitney or Rolls-Royce engines, it can travel as far as 3,556 kilometers within a flight. This is provided the plane’s weight requirements will be met. Are you scheduling for a trip aboard this aircraft? Then it would be best to confirm your flight plan, the passengers who’ll ride with you plus the amount of baggage you’ll have. This way, you can maximize your plane’s capacity and range. The Boeing 717 was first conceptualized with the name DC-9, before a merger activity took place. Initially designed by McDonnell Douglas, the Boeing Commercial Airplanes took over the unit’s production and eventually had its first flight in 1998. Its introduction was done at the Paris Air Show. This large, regional airliner currently has over 150 units built and flown all over the world. Its operators include Delta Air Lines, Hawaiian Airlines, Volotea, Turkmenistan Airlines and more. If you’re planning to take a regional trip while on board the Boeing 717, it would also be advisable for you to confirm its facilities. The basic features it must also include would be at least two lavatories and a galley for food and drink preparation.